VW’s Shuttle MPV – The Space Ace! 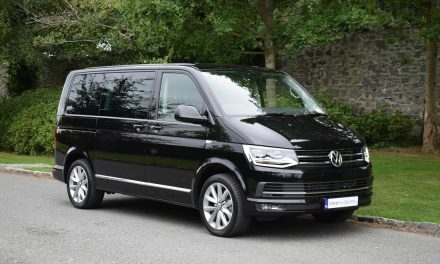 The new Volkswagen Shuttle is a spacious eight or nine seater multi-purpose vehicle (MPV) produced by the German carmaker Volkswagen. Having being the market leader for over 30 years, the new Shuttle is set to continue this trend. 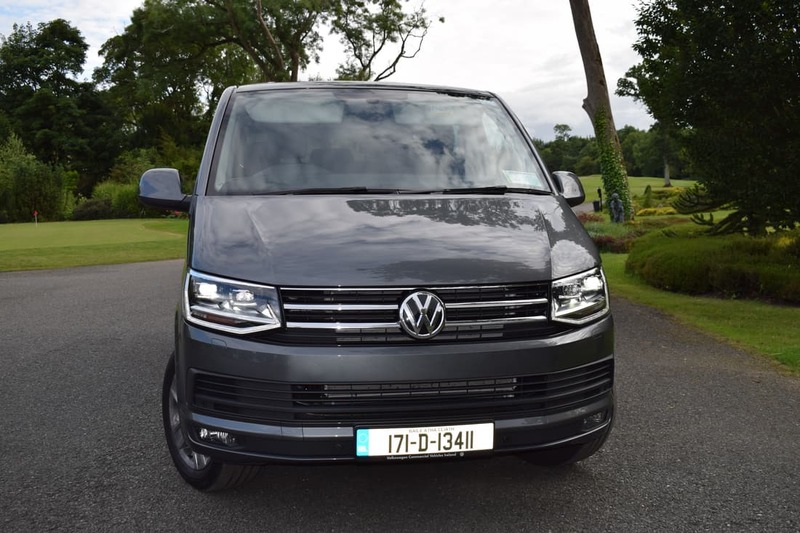 As versatile as it is spacious, the Volkswagen Shuttle is the typical MPV whether you’ve got a large family, a taxi business or just need to ferry cargo around on a regular basis. As a people carrier, it doesn’t get more spacious than this. 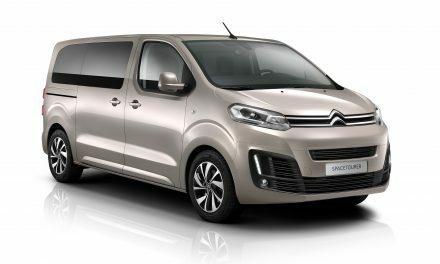 Based on the iconic VW Transporter, the Shuttle counts the Mercedes-Benz Vito Shuttle, multi-seat versions of the Citroën Dispatch, Peugeot Expert and Ford Custom Tourneo as its rivals. 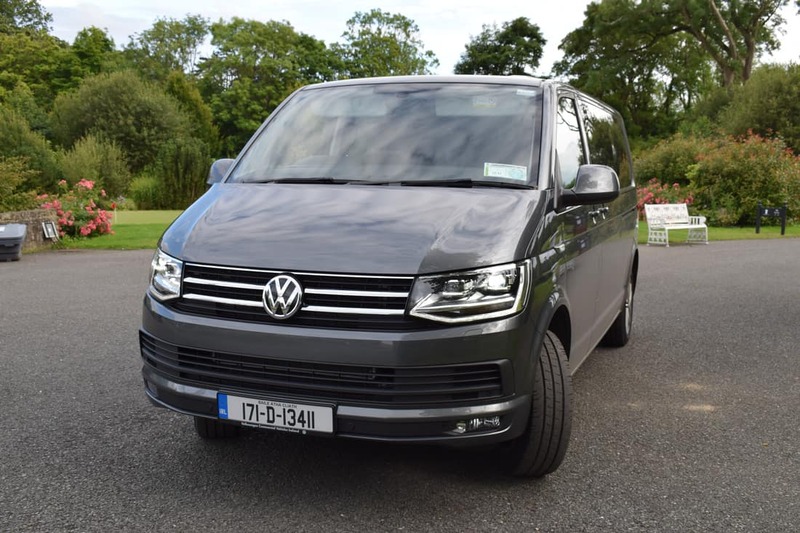 The Transporter Shuttle is available in Trendline, Comfortline or Highline specifications with seating for eight people as standard including the driver, although my test vehicle had an optional double front passenger seat and could seat nine. Available in standard wheelbase or long-wheelbase, the VW Shuttle comes with one standard roof height only, which at 1.9M means you can still park in an underground carpark. The standard wheelbase model offers a load area of up to 5 cubic metres while the long-wheelbase model offers up to 6.7 cubic metres. 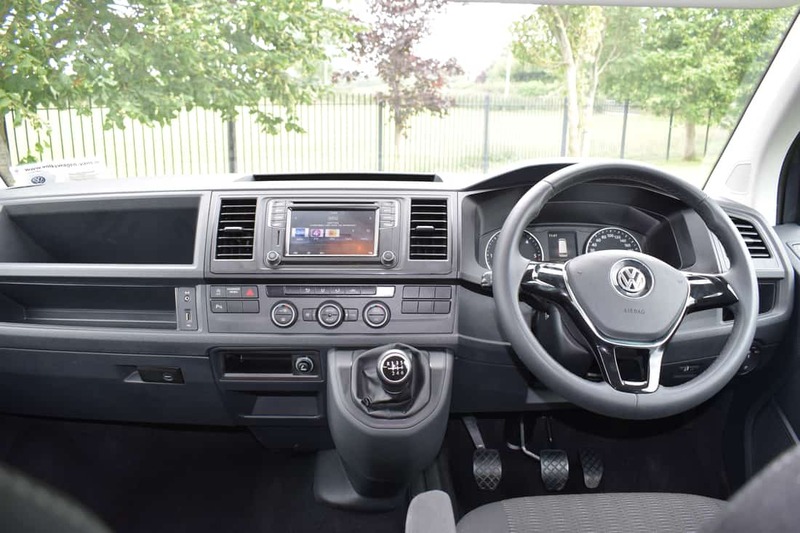 All engines in the Shuttle range are 2.0-litre TDI with BlueMotion technology and are available with a choice of 84bhp, 102bhp, 150bhp or 204bhp. A 4Motion (4WD) model is also available in select models. My test vehicle was a VW Shuttle LWB in mid-spec Comfortline trim, fitted with a 2.0-litre TDI BlueMotion engine producing 150bhp. A six speed manual gearbox is standard across the range with the option of upgrading to VW’s slick DSG (automatic) gearbox for total driver comfort. Proven VW build quality and durability will ensure that the Shuttle can withstand the toughest of jobs. The Shuttle features sliding doors on both sides of the vehicle, electrically-adjustable mirrors and electric windows, air conditioning and many other standard features. 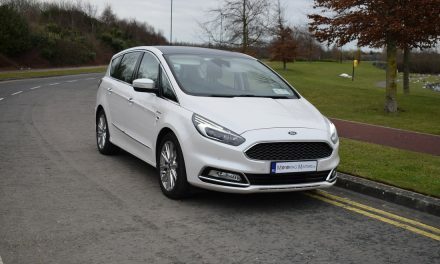 However, the Comfortline also adds body-coloured bumpers, mirrors and door handles, leather steering wheel, carpeted floor area, daytime running lights, stop-start technology, sliding door child locks, spare wheel and tool kit, auto lights and wipers, colour 5 inch touch screen with USB, AUX port and Bluetooth. Fuel consumption from the 150bhp engine is as low as 6.4l/100km on a combined driving cycle while annual road tax is just €570. 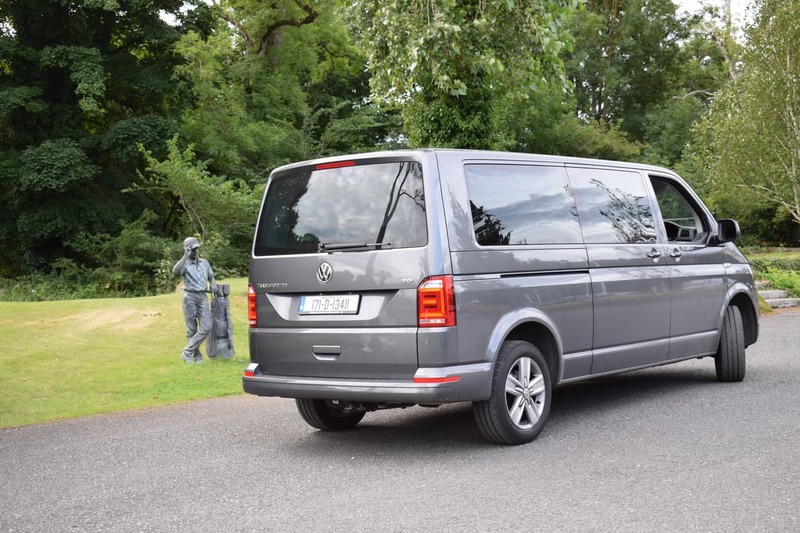 Prices for the VW Shuttle start at €45,385 for the eight seater version while the nine seater starts at €46,080. 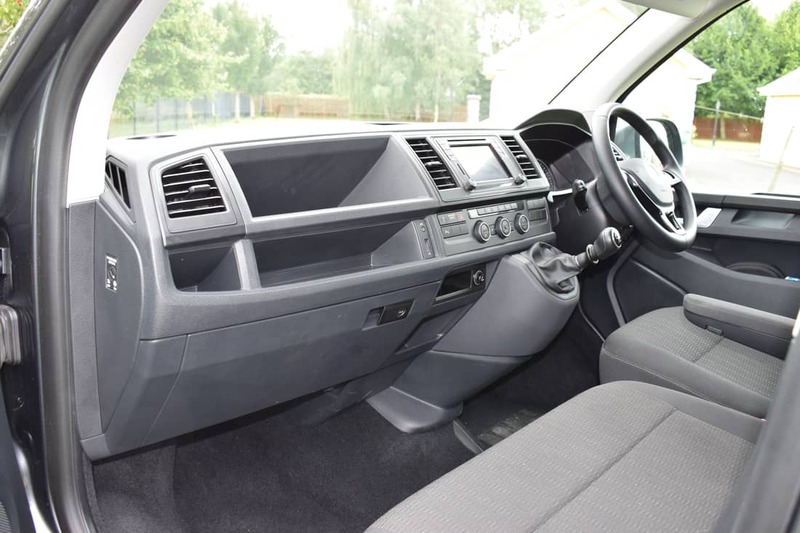 The Shuttle has a van-like driving position, but it means you sit high with an excellent view ahead, and the seats are ideal for long hours spent in them. Refinement from the 2.0 TDI engine is excellent. 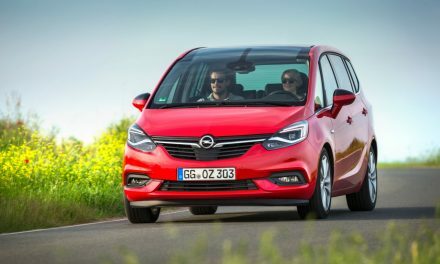 The Shuttle’s size still makes it more cumbersome than a car and is also less fuel efficient than one, but in my opinion, the benefits of the space and practicality of an MPV designed to stand up to heavy use will offset the higher costs.